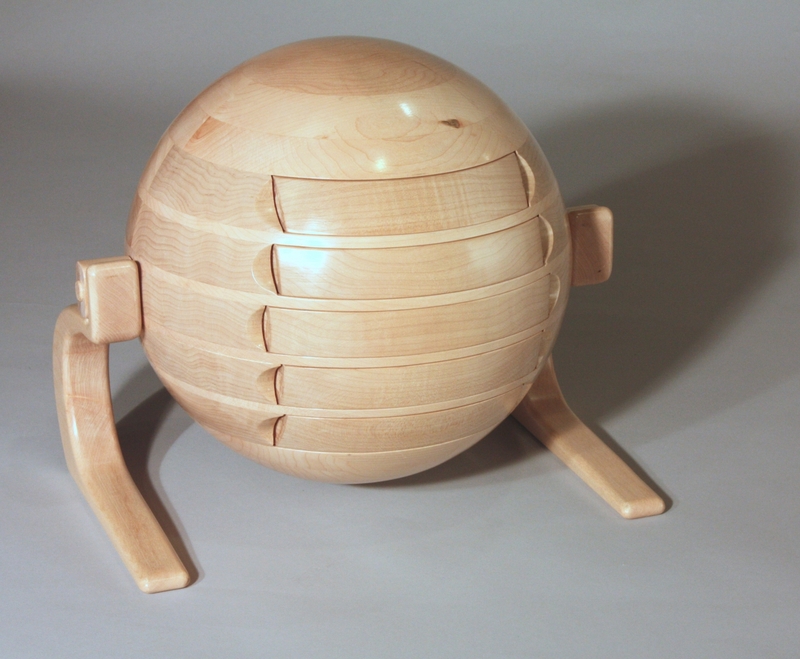 The Sphere Box starts life as a cube of wood. It is taken to a spherical shape with the careful removal of wood using an indexing fixture and a router. The process is slow and tedious but the results will last for generations. Enjoy the video and give consideration to adding one of these creations to your collection. Sanding a convex curve is best done with a shaped platen on a sander. This delivers the best speed and control. This is a great way to build up those arms. Free form sanding with a 4x24 belt sander loaded with a 40 grit belt. This procedure is used to shape the drop front and the rear side of the desk.